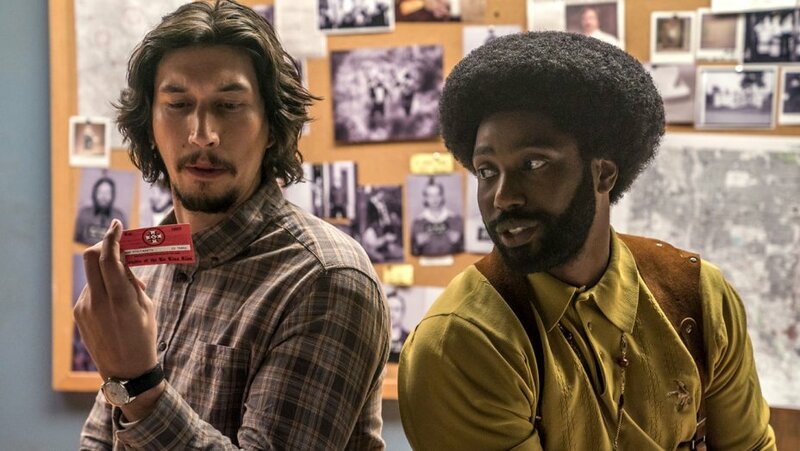 BlacKkKlansman: Spike Lee’s Best Picture Oscar Contender? Thirteen Reasons Why: Spike Lee’s BlacKkKlansman should be strong contender for Best Picture and Best Director Oscar nominations. Every critic or who has attended the Cannes Film Fest—and this is my 34th edition—knows that American filmmakers, like their European or Asian counterparts, really wish their film to world premiere at this prestigious event (in competition) and, of course, win the top prize, the Palme d’Or. Tarantino has said that winning in Cannes the Palme d’Or for Pulp Fiction meant more to him that the later Oscar nominations (and awards). That said, most critics also know that winning the top award at Cannes doesn’t translate into Oscar gold, and that it has little impact on the commercial appeal of the winning films. 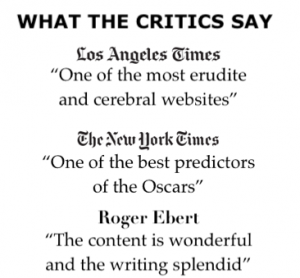 (At times, the winners do not even get theatrical distribution in the U.S.). Thus, skipping the question of whether or not Spike Lee would or should win the Palme d’Or, I’d like to move right away into the Oscar race, which begins in September, and Oscar Gold. (It’s never too early to talk about the Oscars). 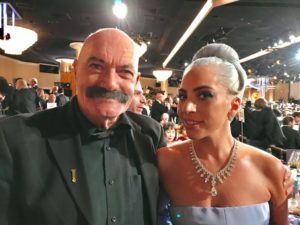 I have been one of the industry’s Oscar gurus ever since I had published my book, And the Winner Is: The History and Politics of the Academy Awards, back in 1986 (the book is still in print in its 11th edition, with Halle Berry on the cover, now retitled, All About Oscar). Though set in the past, BlacKkKlamsman is a timely and relevant film, a reminder that there’s still a long way to go–and many battles to fight–for achieving racial equality and justice in American society. Lee makes significant connection between various phases of US history: of the past and the present, the present and the future. The film is self-reflexive, offering a meditation on the issue of black representation in American cinema. The very first scene is taken from the 1939 Oscar winner, Gone With the Wind, depicting the otherwise selfish, spoiled and self-absorbed Scarlett O’Hara (Vivien Leigh) arriving in Atlanta and witnessing first-hand the hundreds of casualties of Confederate soldiers. The film, like Ben Affleck’s Argo, which won the 2011 Best Picture Oscar, is effective as a political thriller by depicting in minutae details one of boldest and riskiest undercover operations in American history. 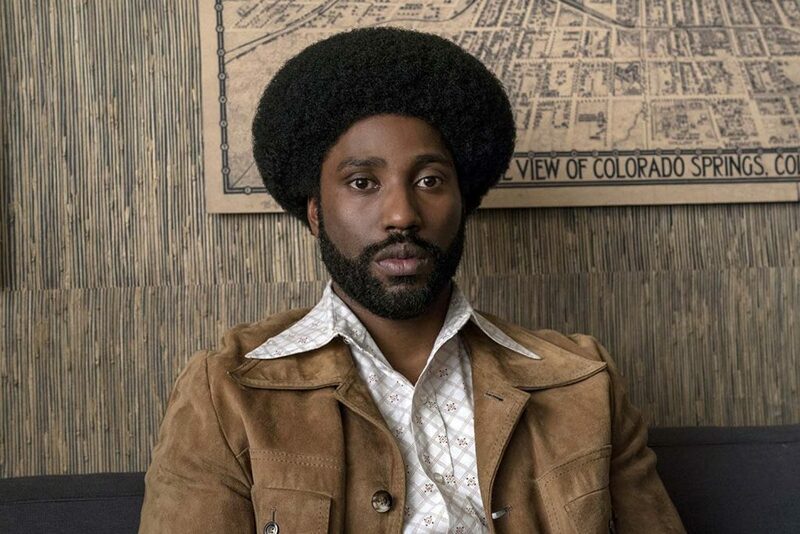 The tale centers on a patriotic black police detective named Ron Stallworth (John David Washington), who comes up with an ingenious plan of how to apply and ultimately gain access–he is granted full membership–into the high ranks of the Ku Klux Klan. Lee makes significant connections between his “improbable” 1970s saga and the very real and probable incident of Charlottesville, in August 2017, in which three innocent people were killed. Lee recalled watching the Charlottesville violence unfold on CNN while he was in Martha’s Vineyard, recognizing “right away” that the footage “had to be my coda for the film.” The director got permission from the mother of Heather Heyer, who was killed when a man drove a Dodge Charger into a crowd of protesters, to use footage of her death in the movie. 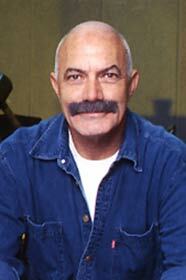 “I was not gonna put that murder scene in the film without her blessing,” he said. He then includes footage of the incident and of President Trump’s overly cautious, wishy-washy response, which was not satisfying to any segment of the populace, black and white. Almost like the Lethal Weapon comedy-action franchise, which relies on collaboration (and strong chemistry) between Mel Gibson and Danny Glover, BlacKkKlansman also unfolds as a male camaraderie tale between a young, ambitious, and cocky black officer and a slightly older and more experienced white one (played by Adam Driver), who happens to be Jewish, answering to the name of Flip Zimmerman, which further complicates the proceedings. The whole film is laced with humor, bright, dark, and ironic, based on a series of factual and scary telephone calls that are truly incredible in both senses of this term. No more could be said about the real and fake communication between the two detectives and the head of the clan, David Duke. The Grand Wizard is played with such panache by Topher Grace that it only emphasizes how silly, arrogant but downright inept “The Organization,” as Duke refers to the KKK, was in many respects. 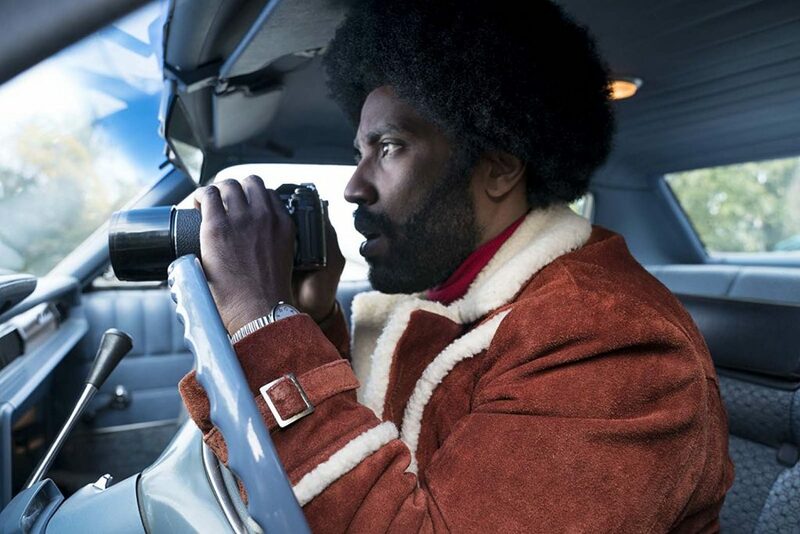 Artistically, BlacKkKlansman is Lee’s most most fully realized film in over a decade, since the 2006 stylish heist movie, Inside Man, starring Jodie Foster (his most commercial movie to date), or even He Got Game, twenty years ago, starring Denzel Washington, Lee’s frequent collaborator. I limit myself to his big-screen features: Lee’s HBO miniseries “When the Levees Broke” was powerful, and so was his documentary 4 Little Girls, which garnered him a Best Documentary Oscar nomination, back in 1997. Lee has never been nominated for the Best Director Oscar, an honor he should have received for his 1989 Do the Right Thing (for me, it is still Lee’s best film, his masterpiece). He is certainly as deserving (perhaps even more) than John Singleton, who received a Best Director nomination for Boyz ‘N the Hood, in 1991. And he is in good company with this year’s Oscar winning film, Get Out, directed by Jordan Peele, who serves as a producer of BlacKkKlansman. The new film is amazingly diverse and inclusive in its large gallery of characters. For instance, there are both white and black racist cops, bright and not so bright black and white investigators within the Colorado Springs Police Department. It takes a rookie-outsider to change some of the primitive procedures of its operation–by sheer intelligence, chutzpah and arrogance. 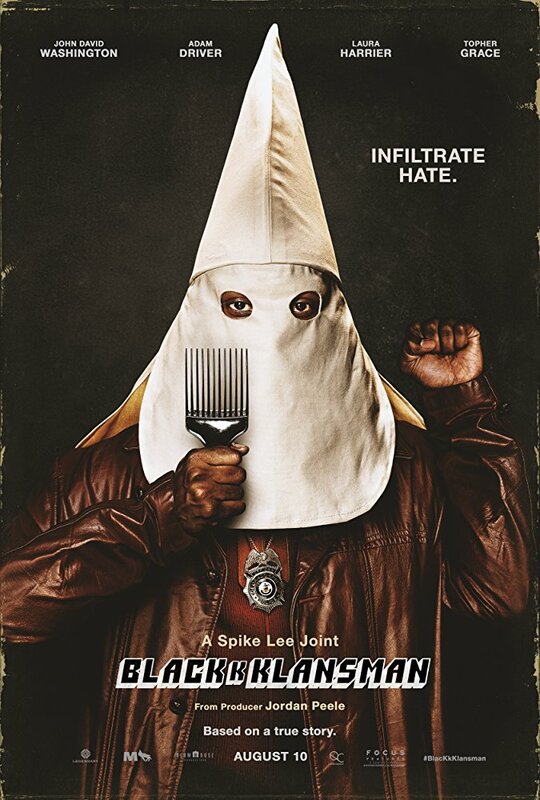 Though powerful in its message of “wake up” (a recurrent theme in Lee’s earlier work, including his shorts) and in its jabs at the current right-wing US administration, BlackKKlansman is not fueled by anger or hate, as was Do the Right Thing. No, this film is a product of a more mature and subtle artist (Lee is 61), who understands that images and words have stronger impact, not when they are used as ideological slogans, but when they are put into the service of a more particular socio-political context. I am cheating here, there’s a 14th reason for the Academy of Motion Picture Arts and Sciences (AMPAS) to recognize this movie for top honors. BlacKkKlansman is Lee’s most broadly entertaining and most commercially accessible picture to date, and he achieves those goals almost effortlessly, without sacrificing a bit the film’s moral integrity or narrative coherence. The double ending (which cannot be spelled out here), including one hilarious satirical and ironic phone call, makes the film both searing and soaring expose. Here is a movie about the continuous history of black oppression and the bias of black representation in mainstream cinema, TV news and series, and even Blaxploitation movies (Shaft and Richard Roundtree, Cleopatra Jones with Tamara Dobson, Coffy and Pam Grier). But the film is also undeniably hopeful about future of black empowerment–contingent on wake-up call and unified battle. Miraculously, all of these elements and dimensions are rolled into one text, which moves along so smoothly and rapidly that you hardly notice its running time of 135 minutes. With the right handling and marketing, Focus Features has a big winner on its hands, and releasing it in the summer, August 10, (as counterprogramming), is a smart decision that should pay off at the box-office.